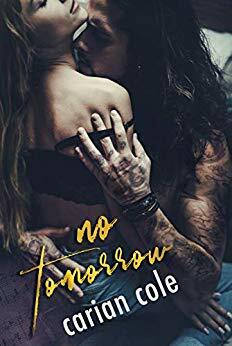 I have not pulled an all-nighter for a very, very long time and bearing in mind my recent reading funk I didn’t think it was possible, but Carian Cole did it. This was a one-sitting read until nearly 4am, I was captivated from first to last word and didn’t want to stop until I had finished this heart-breaking, yet heart-warming love story. I have never read this author before, and it was the synopsis that pulled me in, and I’m so glad it did because I will definitely be going to this authors back list and downloading more. This is a book that follows Piper and Blue for over a decade, through the good times and the bad. A love born in the most incredulous circumstances and yet the heart wants who the heart wants, it doesn’t matter where you come from, where you are in your life, or what your future holds, if your heart beats for another, you can’t stop it. Piper was a beautiful character, both inside and out and it was her honesty, integrity and her innate ability to see the soul that drew her to Blue. Piper saw past Blue’s exterior and zeroed in on the heart and soul, she saw the man behind the mask and loved what she saw. Blue was a stunning homeless man, who captivated her heart and attention with his music. Piper didn’t care about his means or lack of, she saw something in Blue, that Blue didn’t even see in himself. Piper never tried to change him, she supported him, she loved him, and it was unwavering. Blue was your typical troubled bad boy, but it ran deep, it ran through his veins. Misunderstood, complex, deep, dark, troubled and was haunted by his ghosts and demons. Insanely talented and yet it’s hidden under this black cloud that follows him wherever he goes. Carian Cole is brutally honest with regards to Blue, and it is this raw honesty that really ingratiates this character into your heart and soul. I wanted to jump into this book and give him the biggest hug. Even when Blue’s life runs right, he finds the wrong, for someone so handsome and talented, his self-belief was zero. This book was incredibly emotional and angsty, my heart was in my mouth countless times, and the tears were plentiful. My heart was inextricably linked with these characters, and when they hurt, I did too. Carian Cole eeked out every possible emotion, wrung my heart out and squeezed out every single drop of blood she could. This book was totally captivating, unputdownable and one of my favourite reads of the year. I’ve read many a rock star book, and this is like no other, it was fresh, unique, as un-cliche as they come and that made this book stand out from the rest. I cannot recommend this book highly enough.